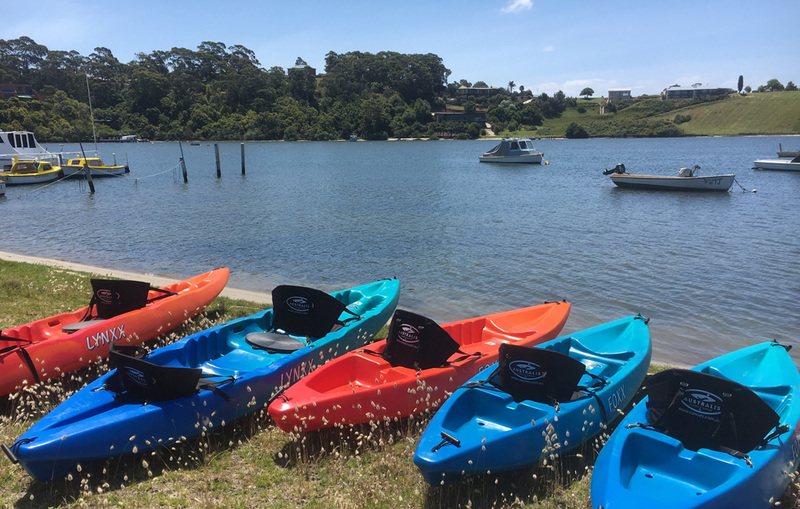 Situated on the Gippsland Lakes and surrounded by rivers, means endless paddling options for our Sit on Top Kayaks & Stand Up Paddleboards. Paddle the Cunningham Arm (aka the front lake), which will take you under our iconic Footbridge at one end, and towards the Entrance at the other end. 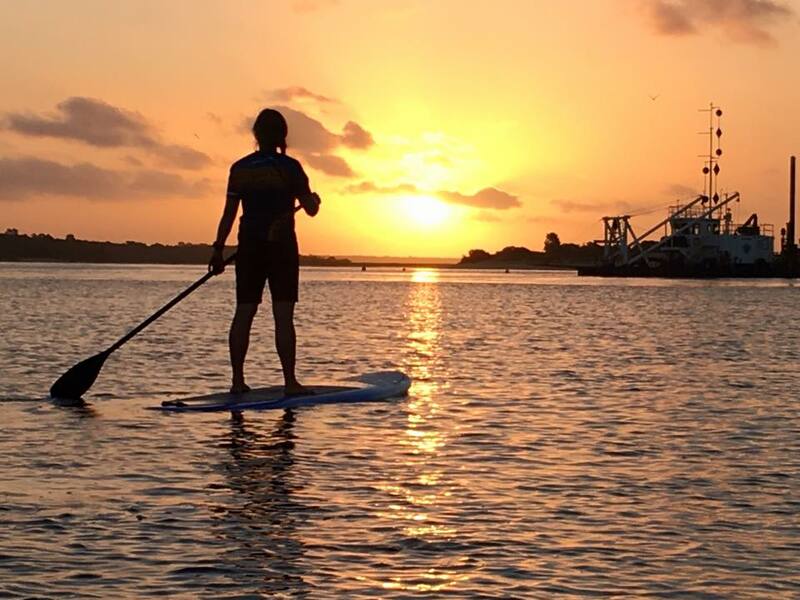 Beginner paddlers that prefer to keep away from other boats will prefer to head towards the Footbridge, but if you’re hoping to spot seals & dolphins, pull your vessel up on the beach just after Flagstaff Jetty and go for a short walk along the boardwalk at the Entrance channel. at Wyanga Park Winery. If you want to shorten your paddle or make it one-way, shuttle options are available. Outside of Lakes Entrance – Lake Tyers can be paddled from Nowa Nowa to Lake Tyers Beach (24km) as an overnight experience, camping lakeside, or as a very full-day paddle. The Tambo, Nicholson & Mitchell Rivers all offer serene paddling experiences passing through small townships. Raymond Island, Paynesville & Eagle Point with the Silt Jetties are another special and scenic area on the Gippsland Lakes, as well as Metung, Nungurner & Rigby Island. If you’re wanting a point to point paddle, we can offer a drop off or shuttle return and if you’re looking for a guided experience, we can custom make a tour to suit you. departing from the Venture Out shop in Lakes Entrance. 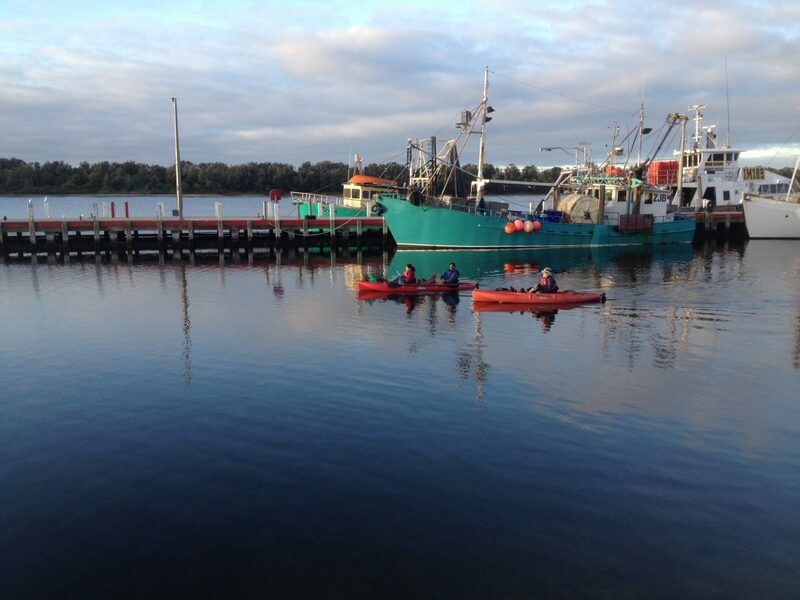 Paddle for up to 2hrs with a local guide around the Gippsland Lakes, discover local stories & get up close to the wildlife. * Tours should be booked at least a day in advance to ensure guide availability.